The Mos Eisley Kon-Tiki Bar is the only wretched hive of scum and villainy where you can count on every drink to come with a little umbrella. You're welcome to come in any time of day, but you'd better leave your blaster and lightsaber by the door. Serenaded by the soothing notes of Figrin D'an and his Modal Nodes' ukuleles, you can drape a flower lei around your neck and enjoy your Mai Tai in complete relaxation. 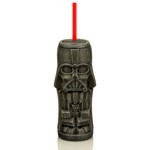 And what better tiki mug to drink from than one that looks like a character from the Star Wars? Choose to drink with Boba Fett, Chewbacca, Darth Vader, R2-D2, a Stormtrooper, or Yoda. 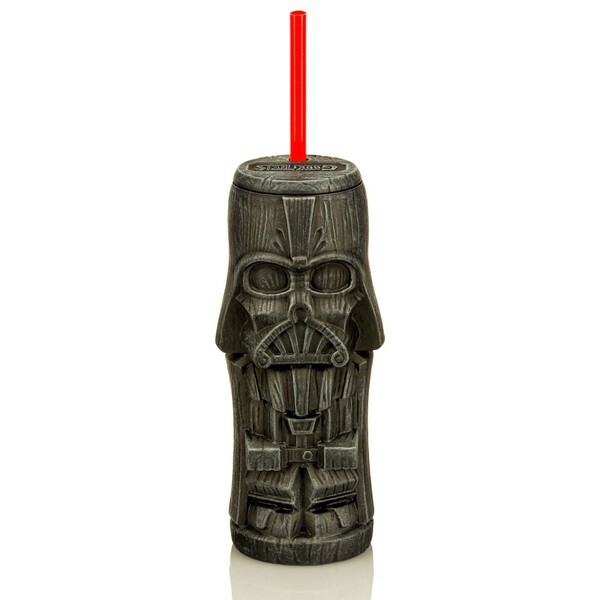 Made from durable plastic and complete with straw, Jedi and Sith alike will love these new Star Wars Geeki Tiki's.